Here is an interesting piece written by Chris for IOSH magazine. Chris Wraith outlines how the powered access industry is using global fatality data to reduce serious MEWP accidents. 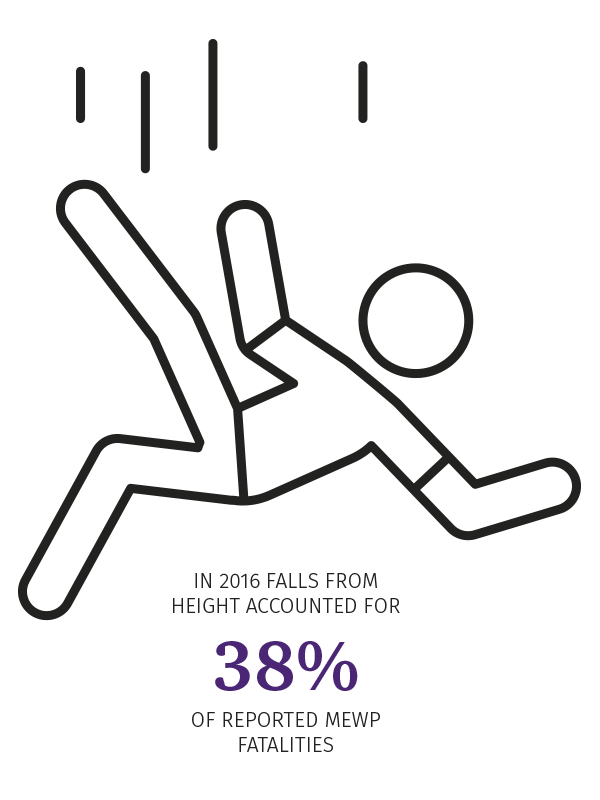 Falls from height are still the number one cause of workplace injuries and fatalities, which explains why the powered access industry has thrived in the past 35 years as employers and contractors increasingly switch on to the specialised equipment available. Mobile Elevating Work Platforms, or MEWPs, are increasingly safe and sophisticated in design, and there is a piece of equipment available for most work at height requirements – from push-around scissor lifts designed to service light fittings and other electrics indoors, to huge lorry-mounted boom-type platforms that can move up to six people to heights of around 90 m.
The equipment is evolving all the time, but the basics of good operation remain constant. These include: good planning; choosing the right machine for the job; ensuring operators and managers or supervisors are trained and familiarised with the specific MEWP; undertaking a risk assessment; carrying out a proper inspection of the machine before use; having a rescue plan in case anything goes wrong; making sure operators and bystanders alike are protected during operations; and ensuring machines are secured to prevent unauthorised use. A robust system of inspection, maintenance and thorough examination is also essential. Users should also consider how equipment is delivered, loaded and unloaded from site and ensure it is done safely. 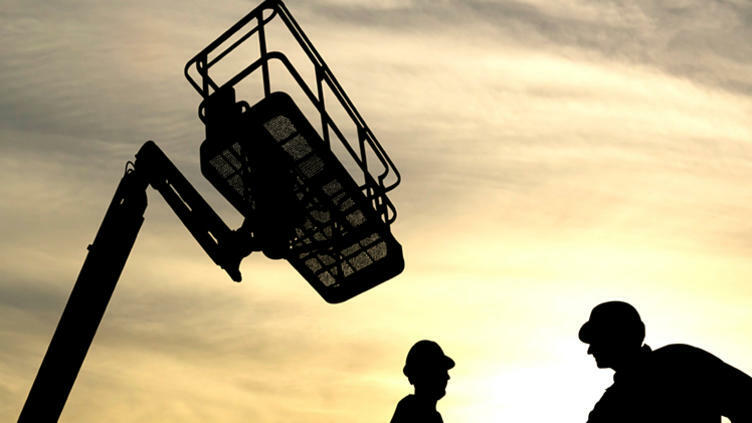 It is important that supervisors and site managers who oversee MEWP use have the correct level of training to ensure the equipment is used safely. the number of fatalities involving MEWPs in a given year, based on the IPAF accident reporting project. Launched in 2012, the accident reporting project is compiling a detailed record of known accidents. The industry body uses the accident data to improve the content of its training programmes, to develop technical guidance, target high-risk professions or activities, and provide research findings to bodies developing and drafting new industry standards. The latest analysis indicates that the fatal injury rate for MEWPs declined in 2016, even though the total MEWP rental fleet and the number of rental days worldwide increased significantly over the same period. The data indicates that in 2016 there were 66 reported fatalities involving MEWPs worldwide, compared with 68 deaths reported in 2015. During the same period, the size of the global MEWP rental fleet rose from an estimated 1.17 million units at the end of 2015 to an estimated 1.25 million at the end of 2016. In 2015, the number of on-hire rental days was 192.2 million and the number of reported fatalities was 68, giving a fatality rate of 0.35 per 100,000 operating days. In 2016, the number of on-hire rental days rose to 206.1 million and the number of reported deaths was 66, giving an effective fatal injury rate of 0.32 per 100,000 operating days. This is equivalent to one fatal incident every 3.2 million operating days. Although this significant fall in the FIR should be welcomed, it is concerning that of the 66 reported MEWP fatalities in 2016, the main causes were falls from height, electrocution, entrapment and machinery overturning. These are the four most common causes year after year. This suggests that the industry is not learning the lessons from previous incidents and perhaps not recording near misses or learning from them as well as it should. It is vital that companies foster an environment where managers, operators or subcontractors feel empowered to report things that have gone wrong and not try to hide them from scrutiny. A blame culture is not conducive to encouraging good reporting of near-misses or accidents and only through robust reporting and thorough investigation into the causes of incidents can the industry improve on safety. IPAF encourages anyone hiring or using a MEWP to report all accidents and fatalities on its website (bit.ly/2w12FyR). 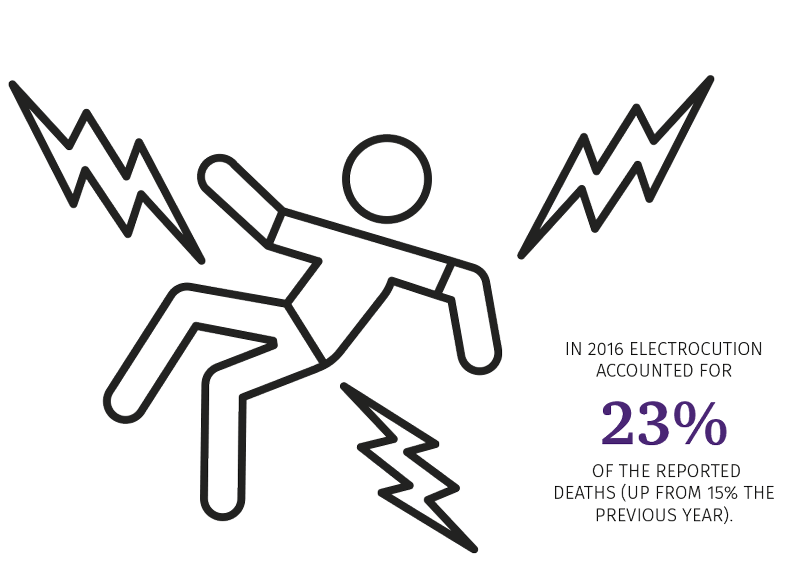 Returning to the fatal injury analysis, in 2016 falls from height accounted for 38% of the reported deaths and electrocution 23% (up from 15% the previous year). There were fewer fatal machine overturns (12% of total fatal incidents, compared with 27% in 2015), but entrapments accounted for a higher proportion of the reported deaths (18%) than the year before, when the figure was 15%.Investigations often show that accidents are due to management failings or operator error, which can be anticipated and avoided, or at least mitigated, in almost all cases. 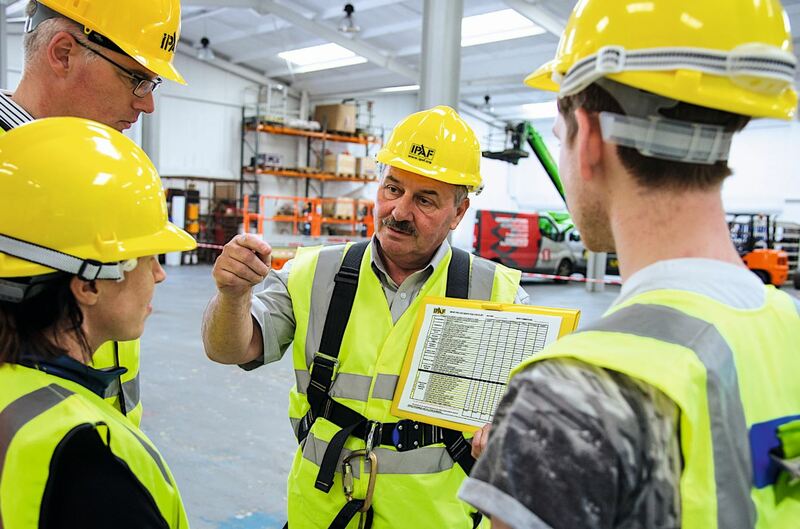 IPAF’s “back to basics” safety agenda reminds operators and managers to carry out a thorough risk assessment, choose the right equipment for the task and provide the right training for users and supervisors. It also encourages a robust incident reporting regime so that lessons are learned and shared in businesses and the wider industry. IPAF also recently published its Which Way Down? research, which is designed to assess people’s instinctive understanding of MEWP controls. The results are being fed into new global health and safety guidance, which is being developed for manufacturers designing MEWPs.In April, the annual IPAF summit in London focused on empowering workforces to report accidents and near-misses, and encouraged the industry to move towards a zero-harm environment. In June, IPAF led a mass harness pledge at its Asia conference in China, in which delegates committed to issue all users of boom-type platforms with appropriate safety harnesses and instruct users why, when and how to wear them. The industry body is also creating new technical and safety guidance and updating existing literature, adding leaflets and posters in new languages, including Czech, Polish, Slovenian, Danish, Finnish and Swedish. It is also planning to launch a series of toolbox talks aimed at supervisors and managers to brief workforces on safety essentials ahead of work using MEWPs. The resource will reinforce the essential “back to basics” messages on a regular basis on shop-floors and work-sites across its members’ global operations. By focusing on good practice, employee training and by reporting on near misses as well as accidents and fatalities, the industry can ensure fewer people are injured or killed when operating MEWPs. As a result, it is hoped the fatal injury rate will decline again in 2017.